Dimensions 1 by 8.75 by 10.75 in. 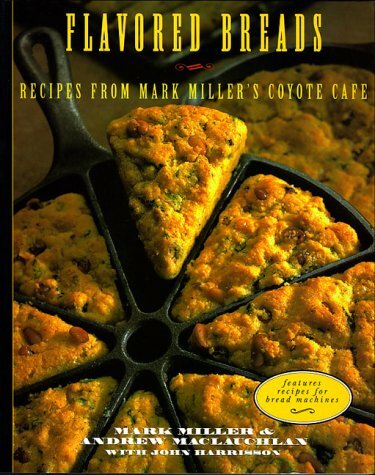 Amazon.com description: Product Description: The authors put a savory spin on the hottest trend in bread-baking, with recipes for flavored corn-based and whole grain-based breads, quickbreads, flatbreads, rustic breads, and wonderful breakfast breads. Also included are full-flavored accompaniments such as Red Chile Honey and Black Cherry and Ancho Spread. Approximately 30 full-color photos capture the romance of bread baking in the Southwest. About: The authors put a savory spin on the hottest trend in bread-baking, with recipes for flavored corn-based and whole grain-based breads, quickbreads, flatbreads, rustic breads, and wonderful breakfast breads.